"You sort of start thinking anyting’s possible if you’ve got enough nerve"
Solutions Centre is an international organization with a network of trainers and specialists that aims to disseminate the Solution Focused approach through training and consultation. It also aims to disseminate the application of this model to mental health institutes, schools, organizations, hospitals and many different settings where people work with each other. Solutions Centre was founded in 2004 by Insoo Kim Berg (USA) and Arnoud Huibers (The Netherlands). Solutions Centre organizes conferences and meetings, stimulates the brainstorming and research on how the Solution Focused approach can be further applied. If you have any ideas or questions, please contact Arnoud Huibers (The Netherlands), director of Solutions Centre. 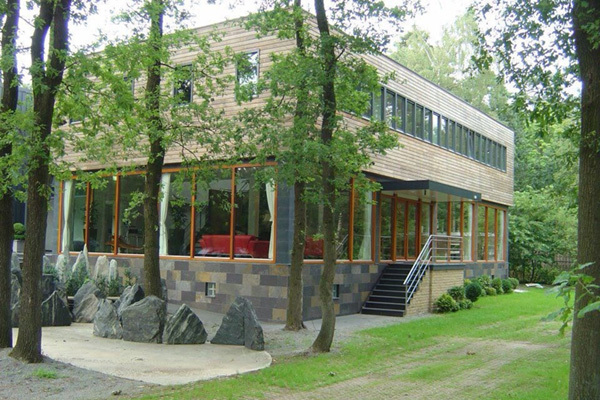 Solutions Centre is located in Soesterberg, the Netherlands, in the beautiful surroundings of the forests of Utrechtse Heuvelrug. 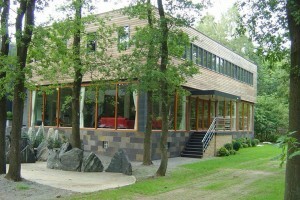 Can be easily reached by car via A28 motorway, free parking on the private property. By train via Amersfoort Central Station. Insoo Kim Berg co-developed the Solution Focused Brief Therapy and is the author of numerous books, translated in many different languages. A native of Korea and educated in the United States, she offered a balance between the Eastern and Western ways of finding solutions. She was an expert in working with “multi-problem” families, drug and alcohol abusers, the homeless and delinquent adolescents and their families. She was a clinical member and approved supervisor for the American Associating for Marriage and Family Therapy (AAMFT), an active member in the Wisconsin Association for Marriage and Family Therapy, the National Association of Social Workers and the Solution Focused Brief Therapy Association (SFBTA). Insoo lectured worldwide. Arnoud Huibers, Licensed psychologist, psychotherapist and systemic psychotherapist, founding member of the Association of Solution-Focused Professionals in the Netherlands (VOPN), founding member of the Academy of Solution-Focused Approaches and Research (ASFAR), member of the Dutch Association of Psychologists (NIP), Psychotherapists (LVVP), Couples and Family Therapist (NVRG), Child- en Youth Therapists (VKJP) and EMDR-practitioners (VEN). He was trained at the University of Utrecht and completed his post-graduate degree, at the Academic Medical Centre of Utrecht, the Netherlands. He is currently a psychotherapist, in private practice, in Soesterberg, the Netherlands and trainer of the Solution Focused approach in the Netherlands, Europe, the Caribbean, India and China.